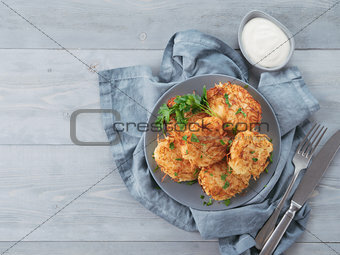 Image Description: Close up view of potato pancakes. Potato flapjack on gray plate over gray wooden table, with fresh parsley and sour cream. Copy space for text. Top view or flat-lay.